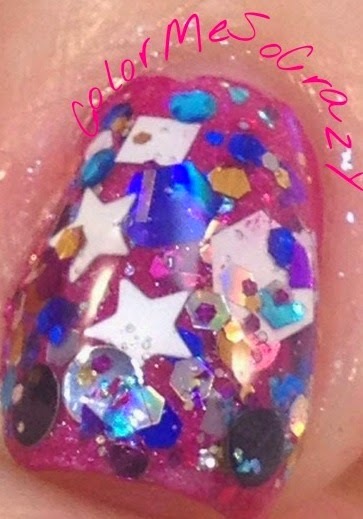 I am soooo excited to share this mani with you. This is just a simple NOTD post as I need a palette cleanser. I went for bright and bold. As you know, I recently killed it in the Manglaze restock and bought a whole ton of polishes. 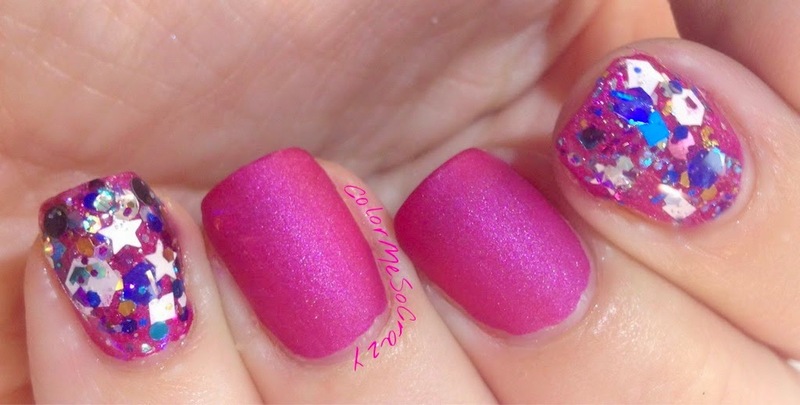 I have been wanting Lesbihonest for a really long time because I have seen swatches of it and fell in love. It is a fuchsia matte polish that is bright as hell. Left is regular lighting on the right is with a flash. 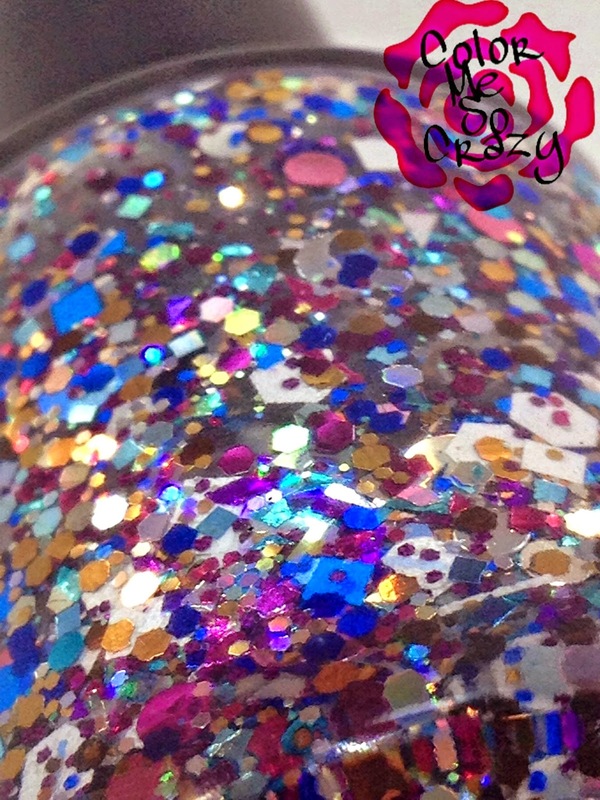 I wanted to show all of the bits and shapes of glitter in this bottle. 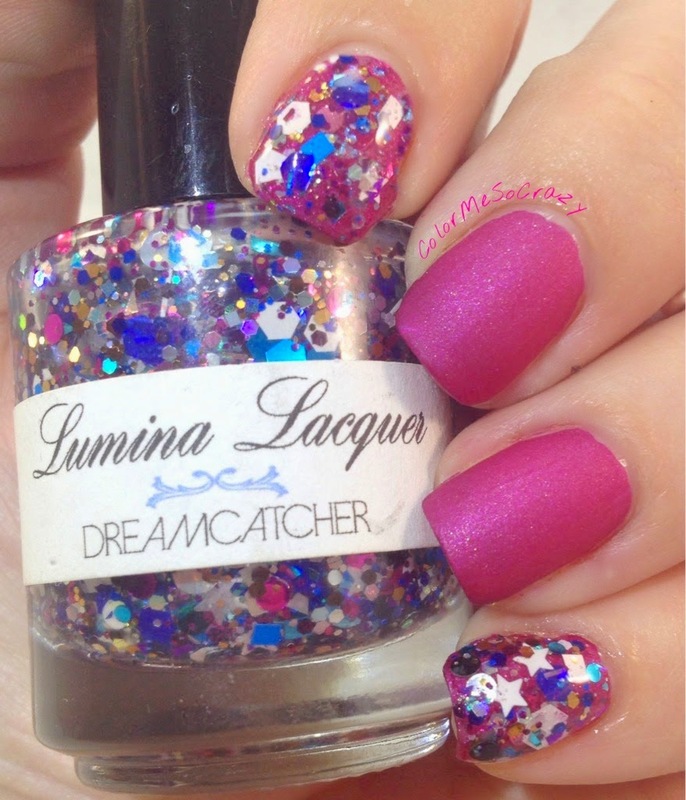 I topped it with Dreamcatcher by Lumina Lacquer. This is my first Lumina and I must say thanks to a fellow group member for gifting it me. We did a huuuuuge round of giveaways and I finally won at the end. I won a whole ton of polishes and I cannot wait to show them all to you. If you love this combo, it can be yours... Well at least it should be yours!! The combo pairing was awesome. I didn't topcoat the Manglaze, just a coat of thick topcoat for the glittered fingers to keep the top smooth. What do you think of this combination? 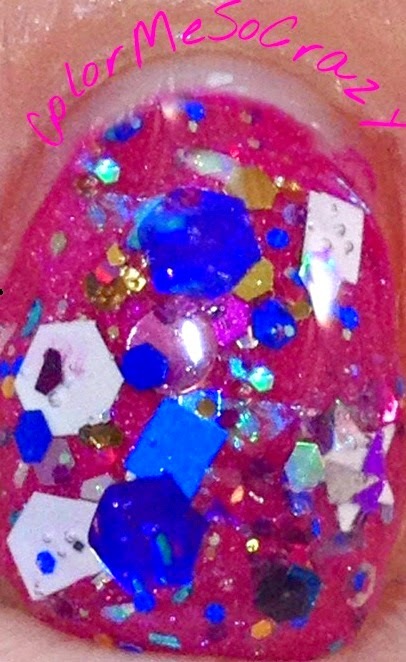 I love the way the Manglaze compliments the Lumina Lacquer and they both just fit so perfectly together.